BPMessentials certification demonstrates not only your understanding of the BPMN 2.0 standard but your ability to create process diagrams that are clear, complete, and consistent with “Method and Style” principles. The cost of certification is built into the training. Step 1 is the online multiple choice exam. There are 10 questions and you must get 8 correct to pass. At the end of the exam, you will see an explanation of each question you missed. If you do not pass, you can take the exam again, a maximum of three tries. Each attempt has a different set of questions. If you do not pay close attention to the course material, do the in-class exercises, and review the student notes carefully, it will be difficult to pass Step 1. Once you pass Step 1, you go on to Step 2, the exercise. 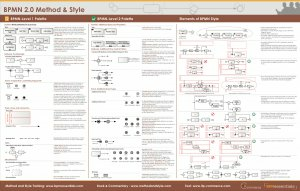 You will create a BPMN 2.0 model, consistent with the Method and Style principles taught in the class, and submit via email to your trainer (e.g., Bruce Silver for online class in English). The diagram must contain certain Level 2 elements, but otherwise is intended to be a process relevant to your own organization. You must check correctness using Process Modeler, including Method and Style validation, and correct the errors before submitting. You will receive individualized feedback and possibly suggestions for improvement. You may be asked to fix and resubmit. 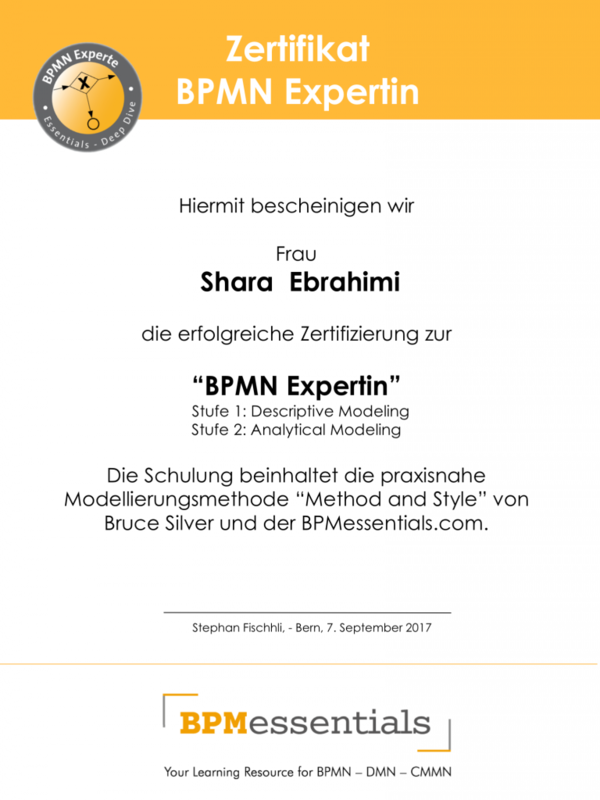 When your exercise is acceptable, you will listed as BPMN Certified on the website and you will receive a paper certificate. Remember you only have 60 days, so don’t delay in completing the course material and beginning the certification procedure. We now offer 60-day extensions of the training key and Process Modeler key available for purchase from the shop if you run out of time. Purchase of the nonexpiring license to Process Modeler with 1-year maintenance effectively gives you 1 year to complete certification.